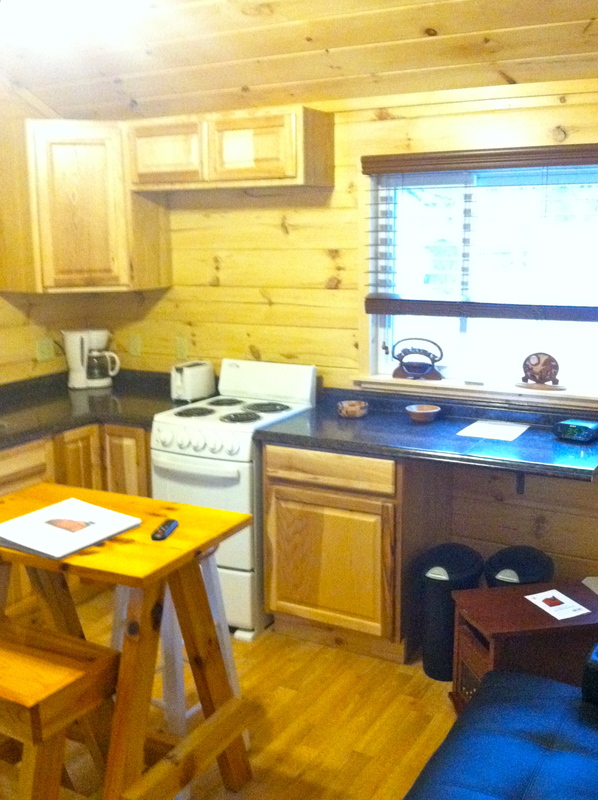 Here are some updated photos of our cabins taken January 15, 2013. These first two pictures are of the kitchen and middle area in the Annsville Cabin. Come join us, make some grub, and kick your feet up! 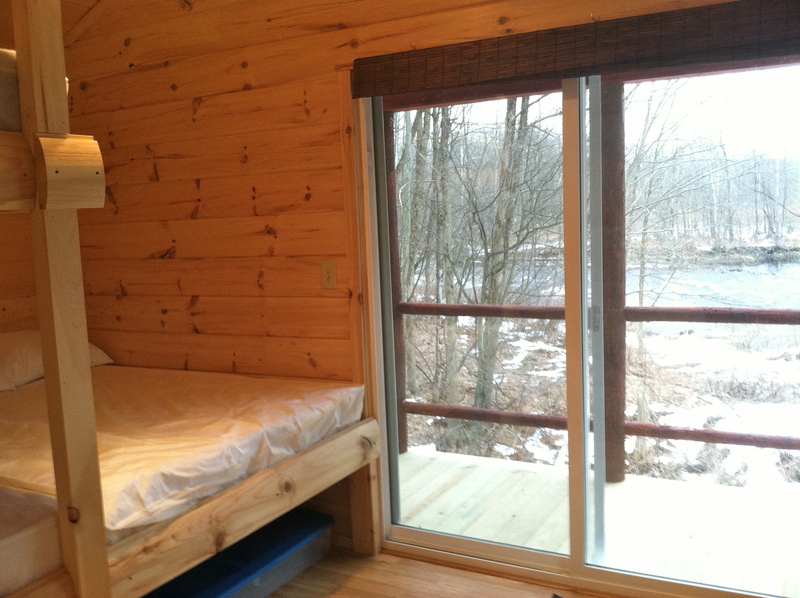 The bedroom in the Annsville lodge has a very large bed (twin + full mattress) and another twin mattress bunked up top. Look at the amazing view of the East Branch of Fish Creek you can see from your bedside! When you want privacy, just drop the shade. 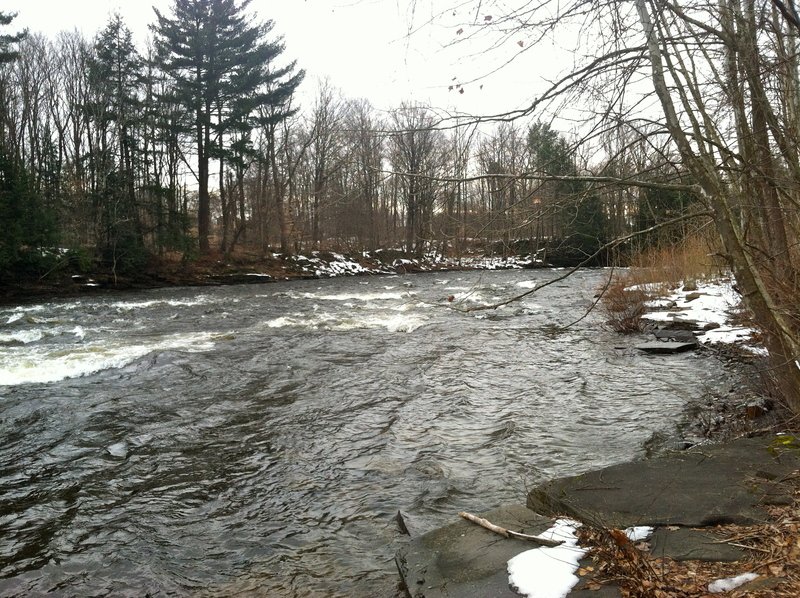 The East Branch of Fish Creek, which runs right along side of our cabin resort, was flowing at a rate of 1200cfs on 1/15/13! Even if you didn’t look at the gauge to know how fast the water flowing, you would know it was extremely powerful because it was that loud! White-water kayakers go down rapids that are at least ~900 cfs. From up on the porch of the cabins the constant sound of the water flowing is just the perfect amount of white noise to wash all your worries away!